. The AP Computer Science A course is equivalent to the first semester of a college level computer science course. The course involves developing the skills to write programs or part of programs to correctly solve specific problems. AP Computer Science A also emphasizes the design issues that make programs understandable, adaptable, and when appropriate, reusable. At the same time, the development of useful computer programs and classes is used as a context for introducing other important concepts in computer science, including the development and analysis of algorithms, the development and use of fundamental data structures, and the study of standard algorithms and typical applications. In addition an understanding of the basic hardware and software components of computer systems and the responsible use of these systems are integral parts of the course. – AP Computer Science Principles introduces students to the foundational concepts of computer science and challenges them to explore how computing and technology can impact the world. With a unique focus on creative problem solving and real-world applications, AP Computer Science Principles prepares students for college and career. The course will introduce students to the creative aspects of programming, abstractions, algorithms, large data sets, the Internet, cybersecurity concerns, and computing impacts. AP Computer Science Principles will give students the opportunity to use technology to address real-world problems and build relevant solutions. – AP Music Theory is a class offered as an independent study for students meeting after school each week with their music instructor. Ear training, theory, and beginning composition are studied in preparation for the AP Music Theory Exam in May. – AP Studio Art is an honors level art class of independent study. It is available to any serious art student who has successfully completed Art I and certain advanced classes, and is planning on majoring in art upon graduation from NRCA. Each student will be required to prepare a portfolio. – Art I is designed to extend artistic and critical thinking skills, and conceptual development through creating and producing two and three dimensional artworks in a variety of media, techniques, and processes. Students will develop a working understanding of the Elements of Art and Principles of Design that will underscore their work as they develop as artists. Advanced Drawing and Painting: Students will be expected to complete drawing and painting projects utilizing elements and principles learned in Art I and apply them with higher level thinking skills and refined artistic skills. Sculpture and Ceramics: Students will apply elements and principles of art to the projects required in three dimensional artwork. Design principles in 3D are added to the artistic arsenal to provide the students with more refined skills and concepts. Pen and Ink Drawing: Students will be expected to complete drawing assignments using the elements and principles of design taught in Art I with the limitations of working only in values of black and white – pen and ink. Photography: Students will introduced to the basics of digital photography studying “Focus on Photography” with assignments included in each lesson. It is preferred that students have their own digital camera. – High School Band is an elective course for instrumentalists in grades 9-12 who want to increase their abilities in advanced music. Skills learned will be demonstrated in several performances throughout the school year, including the annual Arts Festival/Contest. Prerequisites: must have been a member of the Middle School Band or taken one year or more of private instruction. – This elective focuses on media broadcasting and film making. The students learn the fundamentals of creating films and television broadcasts. The class is responsible for the creation of a weekly news broadcast to the entire student body. – High School Concert Choir is a non-auditioned choir for grades 9-12. This class teaches more advanced vocal skills and sight singing. These skills will be demonstrated in several public performances throughout the school year (Christmas, Spring, and Pops), including the ACSI and NCMEA choral competitions and NCMEA All-State and Honors Chorus. Women from the choir perform as the Knightengales while the men from the group perform as the Singing Knights. Students who have participated in choir for 2 years will receive honors credit for their third and fourth years. Dance – Prerequisites: Teacher recommendation and participation in the end of the year recital. Students will be trained in and receive experience in various dance styles. Time is given to understanding the physiological aspects of dance including fitness, stretching and strengthening muscle groups, coordination and expression. This class also prepares for a recital at the end of the year. NRCA’s dance program is certified by ABT (American Ballet Theatre of New York). Domestic Arts – This course is an elective to learn the art of managing and maintaining a Christian household. The class meets five days a week. Students will learn meal planning and food preparation; basic sewing and clothes construction; interior design and space planning; proper etiquette and hospitality; budgeting and investing; child care and development; and family, professional and social relationships. Graphic Design – This class is designed for students who are interested in learning computer design in the area of desktop publishing and multimedia. In this class students will learn about graphic design principles, creative and expressive typography, page layout, and photography/digital image manipulation through the completion of both print and multimedia based assignments. Students will gain experience through specialized graphic design projects and assisting in school publications. Industry standard software Adobe Creative Suite (InDesign, Photoshop) will be used for all class projects.
. Allied Health Science II is a course designed to prepare potential health care workers to be effective and efficient multi-skilled health team members. Emphasis is placed on the development of proficiency in health care systems, client communications, employability skills, legal and ethical responsibilities, safety practices, infection controlled, emergency care skills, diagnostic skills, nutrition and diet therapy, dental and pharmacy skills, nursing skills, therapy and sports medicine, information services and environmental and medical careers. It is a work-based learning strategy with 60-90 clinical internship hours with 45 of those hours in a long-term care facility. Upon completion of the course with a B or higher, the student may take the Certified Nursing Assistant certification exam. A mentorship component is offered to any student choosing not to take the CNA exam. Honors Choreography and Performance – Prerequisites: Must have previous dance experience and be currently enrolled in an outside studio. Students are placed in the class by audition in the spring. This class meets before school during Zero Hour. Dancers will work as a group as well as individually on choreography projects. Outside choreographers will also set pieces on dancers throughout the year. Class will have the opportunity to perform in chapel. All pieces learned will culminate in the Honors Dance Concert at the end of the year. Participation in this recital is required to be qualified for the class.
. Competitive Speech and Debate will focus on the preparation for and competition in the National Forensic League. 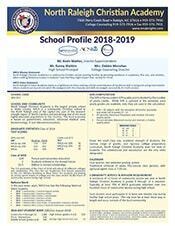 Self-motivated students who have met course prerequisites will, after exploring the various areas of forensic competition, choose an area of interest and prepare for interscholastic competition. These events include Policy Debate, Lincoln-Douglas Debate, Public Forum Debate, Congressional Congress, Original Oratory, Dramatic and Humorous Interpretation, Duo Interpretation, Impromptu Speaking, and Poetry and Prose Interpretation. Tournaments will involve Saturday commitments (approximately four to five a year) and an occasional school-related class absence. .Open to students in grades 10-12. Honors Creative Writing gives student authors the opportunity to hone their craft in a workshop setting. Students will produce one main literary piece and several smaller pieces each quarter. Genres include poetry (narrative and lyrical), short stories, and drama. Skills include descriptive technique, narrative style, vocabulary, and syntax, as well as adapting writing style to different audiences. Students interested in generating longer works, such as novels, will have the chance to receive feedback during the class. Exploring options for publication rounds out the course. – High School Honors Ensemble is an auditioned group of 12-16 students from the 10-12 grades currently participating in the high school concert choir. This ensemble studies and performs a varied repertoire of music from vocal jazz to madrigals and motets. 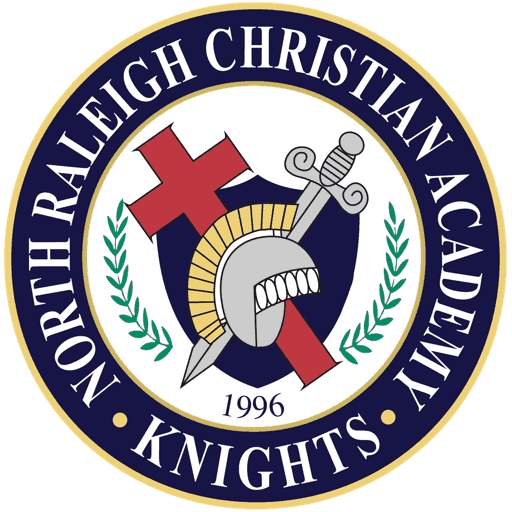 They perform several times throughout the school year at NRCA and are also invited to perform throughout the Raleigh area. The ensemble also participates in ACSI and NCMEA choral festivals and competitions. Auditions for the group are held every spring. Honors Jazz Ensemble – Honors Jazz Ensemble is an elective for high school students wanting to gain a working knowledge of America’s one true art form and its rich history. Held three mornings (7:00-7:50) this course is open to students in the high school band and outside the band as well. This group performs publicly throughout the year as well as an annual spring concert. – Honors Philosophy is a systematic study of the history of ideas and worldviews. Specific attention is paid to the relationship between Christian theology and philosophy. Areas of focus will include faith and reason, the existence of God, science and faith, the problem of evil, the theory of knowledge, and postmodern philosophy. The course is also designed to sharpen the students’ logic and critical thinking skills through class discussion and examination of primary sources.
. The Honors Production & Film course is an advanced course in the art and mechanics of producing high quality video productions. Honors Production & Film emphasizes in-depth training and experimentation with some of the industries leading software based production tools, specifically the FinalCut Studio suite and testing for their certification in FinalCut Pro. It also includes the study of historic and current film for use in learning better composition as well as editing technique. Some of the goals for the class will include writing, shooting, directing, and editing several projects, which can include documentaries, shot films, long format films, community PSAs, etc. Honors Robotics – Students design and build programmable EV3 LEGO robots using high quality motors, sensors, gears, wheels, axles, and other technical components. By using hands-on robotics and object-oriented programming, students will learn how technology works in real world applications. We look at how robots are used in mining, search and rescue, industry, transportation, medicine, space exploration, farming, military etc. According to research, computer and robotic jobs are set to increase greatly over the next decade. Honors Theater Directing and Performance – Prerequisites: Previous theater or drama class experience, commitment to be a part of each NRCA Squire Theatre production, as well as instructor approval. This class will before school during the Zero Hour. The students will be instructed in the philosophy of the theater directing and performance. Time will be given to train student the “how to’s” of directing a stage show including the coordinating of stage, tech, costumes, make up, and set design. Additionally, the students will be given a working understanding of how to instruct the actor while being an actor. The class will be responsible to direct and act in One Act plays throughout the year. – This course focuses on both the skills of journalistic writing and the production side of journalism. 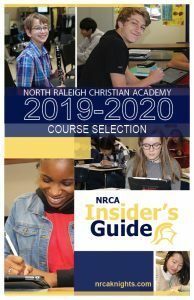 Students in this course will develop the scholastic publications of NRCA in digital and print formats. The writing element will expose students to a variety of journalistic writing with a focus on accuracy in reporting and excellence in writing skills. Topics covered include news-writing, features, sports, ethics of journalism, and AP style. This course takes a public relations approach to journalism. 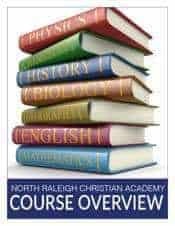 Study Hall – This course is for students enrolled in at least three Honors and/or AP courses. This is a time set aside for study and completing homework. There is no credit given for this course and it is not calculated in the GPA. Teacher Assistant – Students are assigned to a teacher or office staff to assist with duties such as bulletin boards, sorting, and filing. Students receive credit for this course but it is not included in the GPA calculation since all students receive an A in this course. – This course combines trades and industrial arts shop into one class. Students will develop basic skills in shop equipment. Guest lecturers from various trades will speak, demonstrate, and conduct hands-on labs in areas like mechanics, plumbing, carpentry, electrical, management, etc. Students will learn the vocabulary, properties and characteristics of wood, machines and tools in the shop, and develop skill in using various tools. Through presentation, discussion, and hands-on exercises, students will learn skill and safety techniques while working with power tools to complete a course project. Along with basic woodworking skills and projects, the students will be asked to conceptually design and build sets for NRCA’s Fall and Spring play. Yearbook – In this course, students will learn the principles of producing a 250-300 page full-color book. Students will learn basic film and digital photography and photojournalism skills; improve interviewing, coverage, and writing skills; ethical and legal guidelines for publications; and basic principles of page layout and design. Students will learn aspects of Adobe Photoshop, Adobe InDesign, and Adobe Illustrator. Each student is also responsible for selling advertisements to community businesses and will learn about budgeting and production costs, as well as working together as a team.